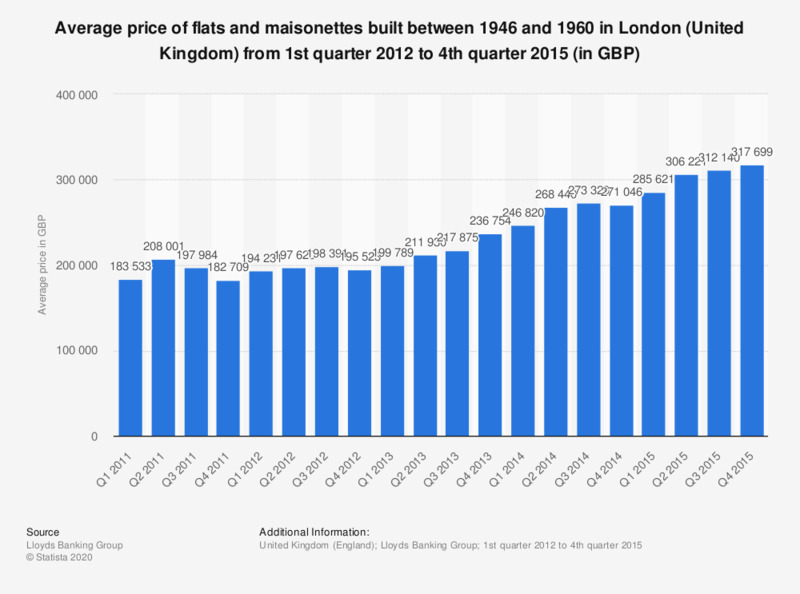 This statistic shows the average price of flats and maisonettes built between 1946 and 1960 in Greater London, United Kingdom (UK) from the first quarter of 2012 to the fourth quarter of 2015, according to the Halifax house price index. In the fourth quarter of 2014, the average price of a flat or maisonette from that period in Greater London was over 271 thousand British pounds (GBP). By the end of the fourth quarter of 2015, the price had increased and amounted to 317.7 thousand GBP.